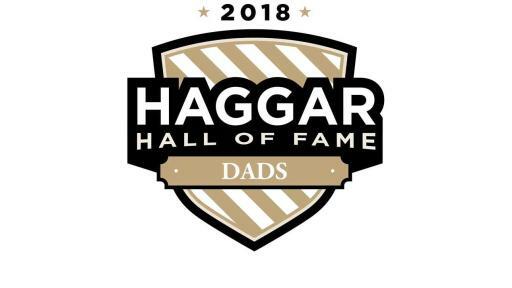 DALLAS (Feb. 1, 2018) -- Haggar Clothing Co., the Official Jacket Provider of the Pro Football Hall of Fame and the Naismith Memorial Basketball Hall of Fame, will create a new Hall of Fame this year to recognize and celebrate America’s greatest dads. 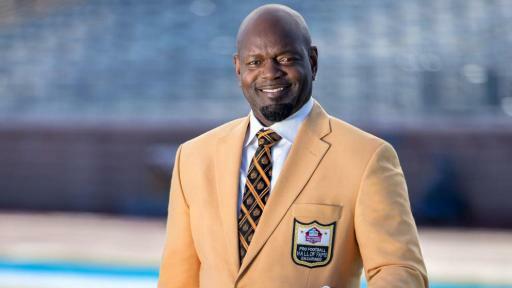 Starting today, football legend and Hall of Famer Emmitt Smith, whose own father demonstrated the importance of family by putting aside his football dreams and turning down a scholarship to care for his family, will lead the national call for nominations to the inaugural class of the Haggar Hall of Fame Dads. 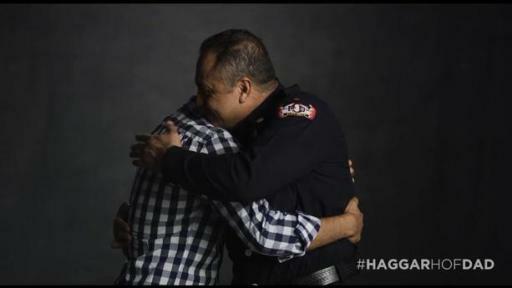 Nominations for the Haggar Hall of Fame Dads will be accepted now through May 31 at www.HaggarHOFDad.com. 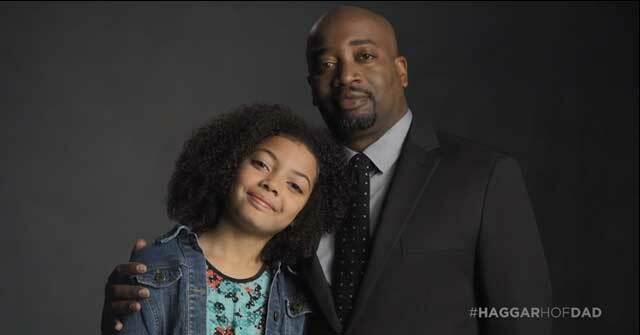 Visitors can upload a photo or video, along with a caption describing why their dad or father figure is a Hall of Famer, and then vote for their favorite Hall of Fame Dad stories throughout the nomination period. 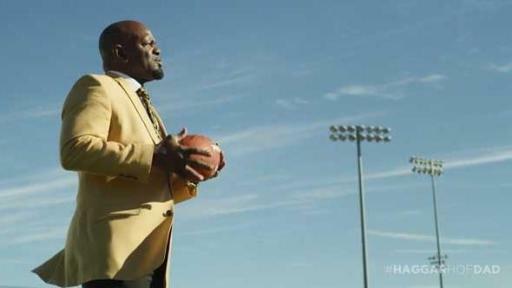 Haggar will enshrine 52 winners in the Haggar Hall of Fame, representing each U.S. state, Washington, D.C., and Puerto Rico. 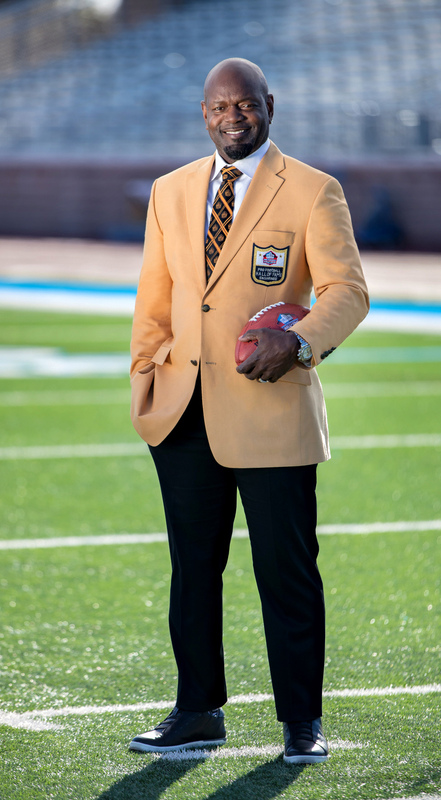 One grand prizewinner will win a VIP trip to his choice of the 2018 Pro Football Hall of Fame or 2018 Naismith Memorial Basketball Hall of Fame enshrinement ceremony. 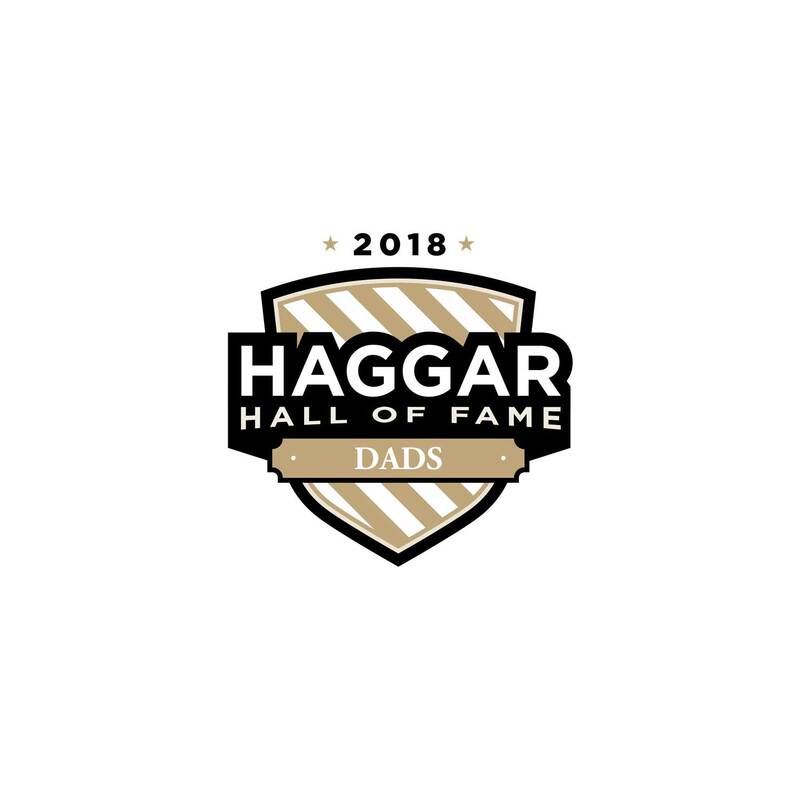 Over the course of the contest, Haggar will thank Hall of Fame Dad nominators with more than $1 million in Haggar products, including America’s No. 1-selling dress pant style, America’s No. 1-selling casual pant style* and top-selling J.M. Haggar suits. 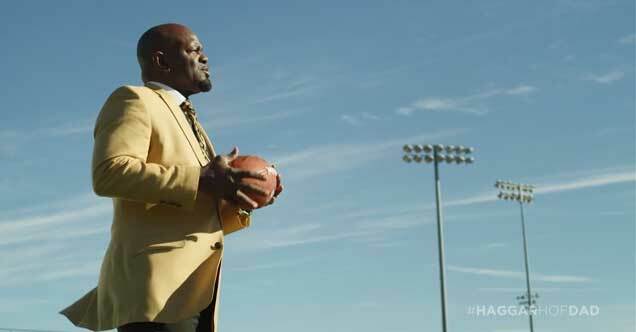 Haggar clothing can be found in national retailers, including Kohl’s, JCPenney, Macy’s, Target and Belk. Complete contest details and rules are available at www.HaggarHOFDad.com. 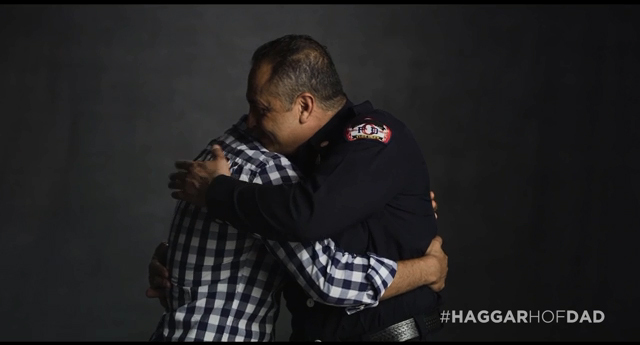 Since its beginnings in a one-room office in Dallas in 1926, Haggar Clothing Co. has grown from a manufacturer of men's fine dress pants and slacks into one of the most recognized apparel brands in the market. For four consecutive quarters, Haggar has produced both the No. 1-selling dress pant style, the E-CLO™ Dress Pant; and the No. 1-selling casual pant style in America, the Premium No Iron Khaki*. 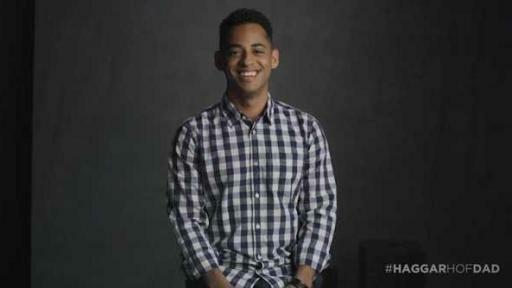 Haggar coined the term "slacks" in 1938 and has continued to lead menswear innovation and technology for over 90 years. 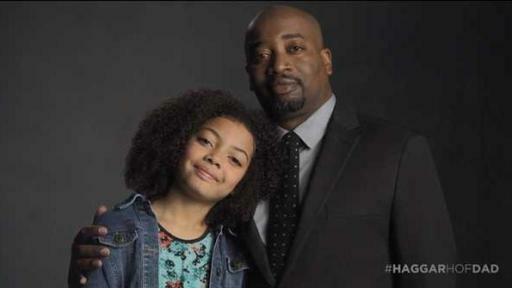 The brand is sold at Kohl’s, JCPenney, Macy’s, Target and Belk, as well as at Haggar® outlet stores and on www.HaggarHOFDad.com.